Value of Interior Design Services: Personalized service to clients desiring the finest workmanship, materials and design Develops strong design team between architect and building professionals Experience in interior and exterior end use materials Creates continuity in all phases from planning, development, construction to finished project Individualized home that becomes your "Essence of Style"
NFNT Building & Design is a full service General Contractor specializing in kitchen and bathroom remodeling throughout the greater Phoenix area. 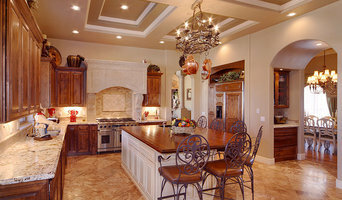 We offer luxurious kitchen and bathroom renovations for an honest price. 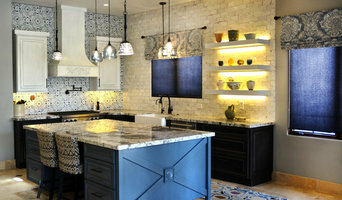 We specialize in working with clients who are passionate about their home. Our dedicated focus is on developing personal relationships with our clients and transforming their visions into reality. HOME ADDITIONS Building a home addition can be a terrific investment to your Arizona home. With a good design it will provide opportunity to eliminate the small, cramped and intolerable spaces of your home. Most folks consider a home addition because you have a growing family, and or want to increase the resale value of your house. INTERIOR REMODELING Arizona homeowners are searching for ways to improve their interiors and create a more comfortable, functional feel. The kitchen is usually where it begins. Since it is one of the liveliest areas of your home and in some cases it’s the heartbeat of the home. A dream kitchen is not based on size and glamour, but more important it should be functional and fit your current life style. It can be real simple or it can be a real workhorse. It is reasonable to want your bathroom to be soothing, rejuvenating, and practical. Bathroom remodeling is a wonderful way to add value to your home. With so many aspects to consider, such as cabinets, faucets, tubs, showers and fixtures, this small room can be very overwhelming. Our design team will work closely with you to choose the right materials and finishes. EXTERIOR REMODELING Outdoor living spaces are beautiful and can increase the value of your home. The biggest challenge for homeowner is deciding how to divide up their yard to maximize their enjoyment of the outdoor space. 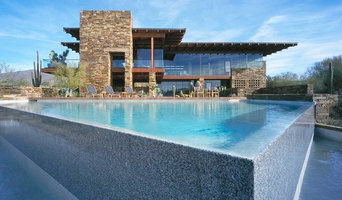 Deciding where to place the pool, the fire pit, fountain, or outdoor kitchen can be intimidating. Our experienced designers will help you plan your outdoor living space to maximize your enjoyment and aesthetics. You will soon find that your outdoor room becomes everyone's favorite room. An oasis that feels like you're on vacation but is only steps away from your own backdoor.